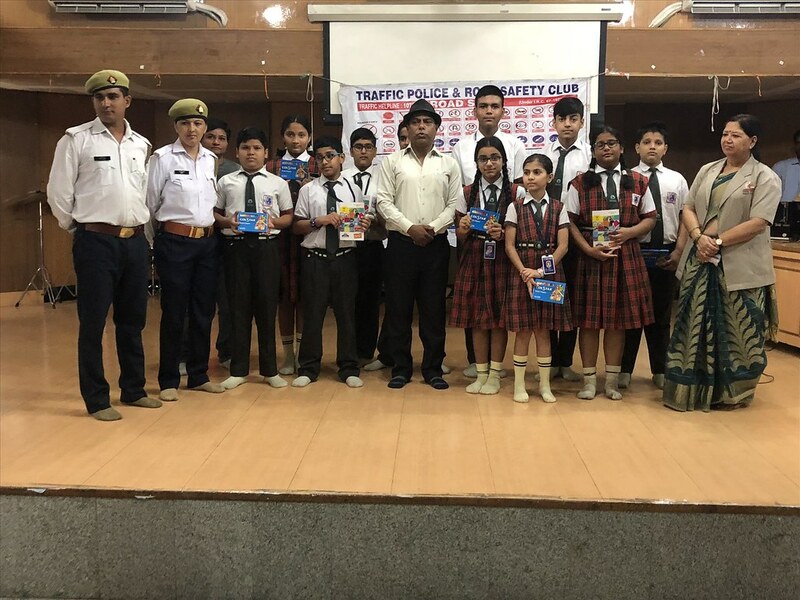 Workshop on Traffic rules and safety The Best School of India in Category "Online Presence"
To make students aware of the various traffic rules, an interactive workshop on Road Safety and Traffic Rules were conducted by traffic personnels for the students of Grades VI to X on 20 August 2018 under the guidance of resource person Sh. Sunil Kumar Sharma. 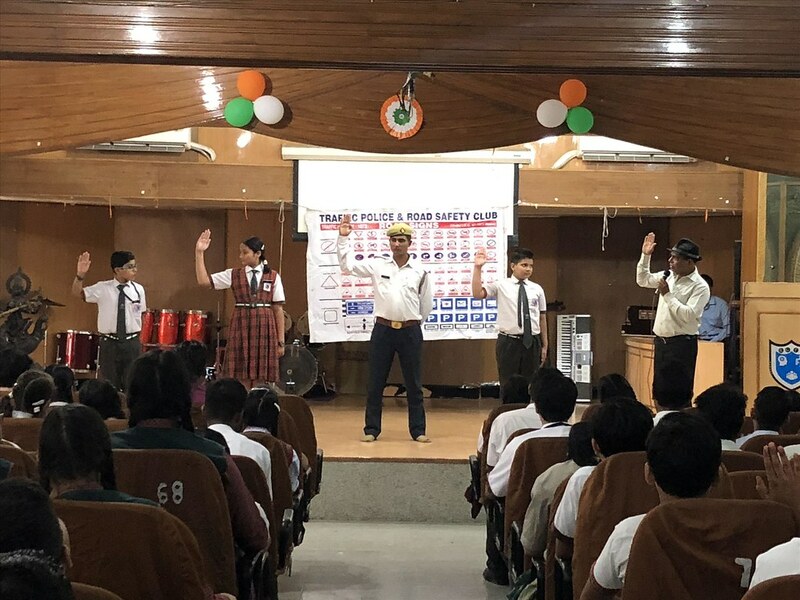 The students were briefed about various traffic rules and road signs that should be followed in order to maintain safety on roads. They were encouraged to follow the rules because even the slightest of mistakes made on the road lead to fatal accidents. 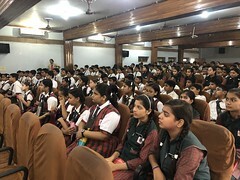 Common careless mistakes made by people were also discussed among students. 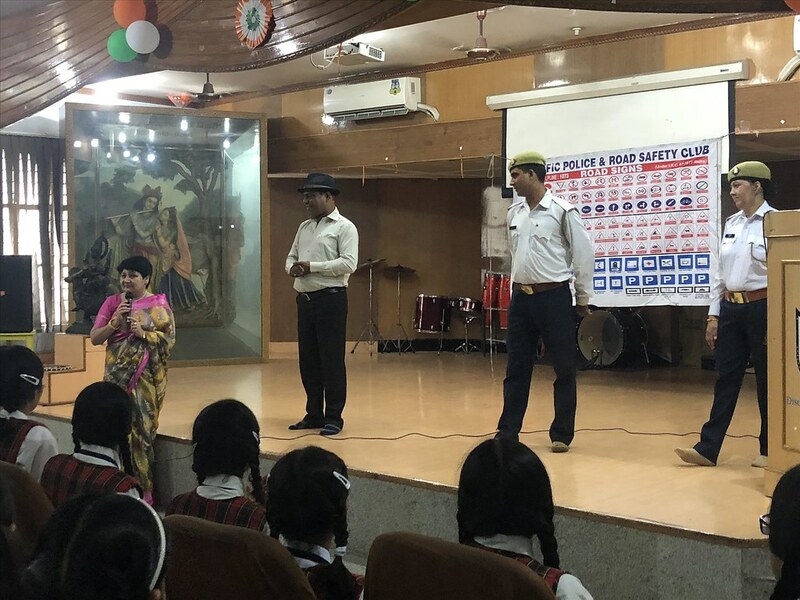 Several incidents were discussed to reinforce the information shared. 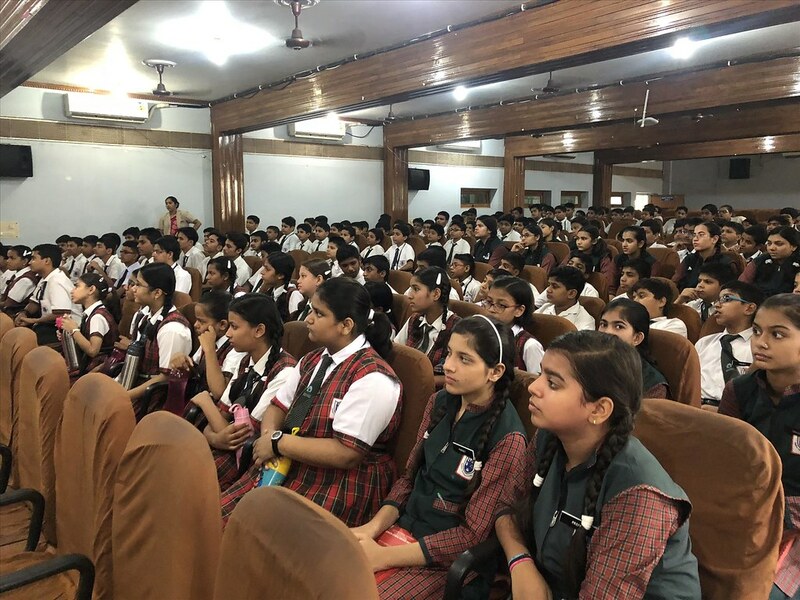 Students understood the consequences of unlawful practices on road including over speeding, signal jumping, carelessness, not wearing seat belt or helmet, use of mobile phone and more. 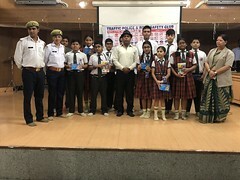 Students were also instructed to guide their parents to follow the traffic rules in order to instill a feeling of responsibility as a good citizen.